The Minneapolis/St. Paul Business Journal's first-ever Business of Pride Awards showcase outstanding LGBTQ business leaders in the Twin Cities metro area who are making a difference in advancing equality in the business world and community, as well as demonstrating their own professional successes. 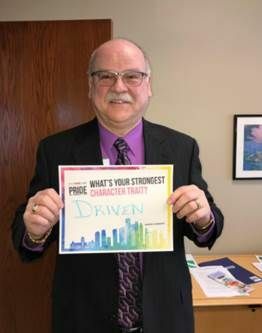 Marty Shimko, branch manager, Associated Bank was selected for his leadership in various Twin Cities-based organizations, championing LGBTQ issues and equality and his volunteerism in the community. 2018 honorees will be featured in the Business Journal's Friday, June 15 Business of Pride special edition, as well as online. Their achievements will also be celebrated at a June 14 awards event at Nicollet Island Pavilion in Minneapolis.